What’s in a language name? Asturian, Leonese, and Mirandese as “Astur-Leonés”? The name of a language is never neutral. There are many social and political implications involved when naming a language, according to Smitherman who examines language and ideology surrounding African American English in her 1991 paper. A language name represents important social information about the group of people who speak that language, especially where minority languages are concerned. Sometimes in language naming practices, language activists create a single name for several different language varieties that historically and politically have several different names. For instance, in the case of “Serbo-Croatian,” it can either be said that it consists of one, two, three, or four languages; it all depends on the political and social perspectives of whom you ask, suggest Bugarski (2004) and Leglise (2006). When we look at minority languages, the situation can become even more complicated. For example, in his publication El dialecto leonés, the linguist Ramón Menéndez Pidal (1906) grouped together all the spoken varieties that were used in the former Kingdom of León under one unifying language name: Leonés. 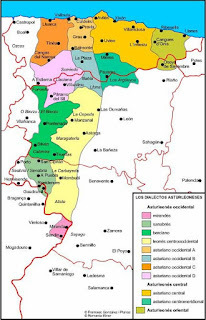 This unifying term grouped the language varieties spoken in Asturian, Leonese, and Mirandese regions. When a unifying term, such as Leonés, is created for several different minority languages, what does this mean for the smaller language varieties that are stripped of their language names by the larger unifying term? Do speakers want to identify with the unifying language name, or do they feel compelled to hold onto the local name of their dialect? When a language is standardized, the language naming process has social implications. This can be seen in the example of the standardization efforts of the minority languages in this region of the Iberian Peninsula. According to García Gil (2008), one will likely hear Astur-Leonés, as opposed to Leonés as the unifying term today. Astur-Leonés is described as an unofficial regional language and is used in Spain’s periodic reports for the European Charter for Regional or Minority Languages. 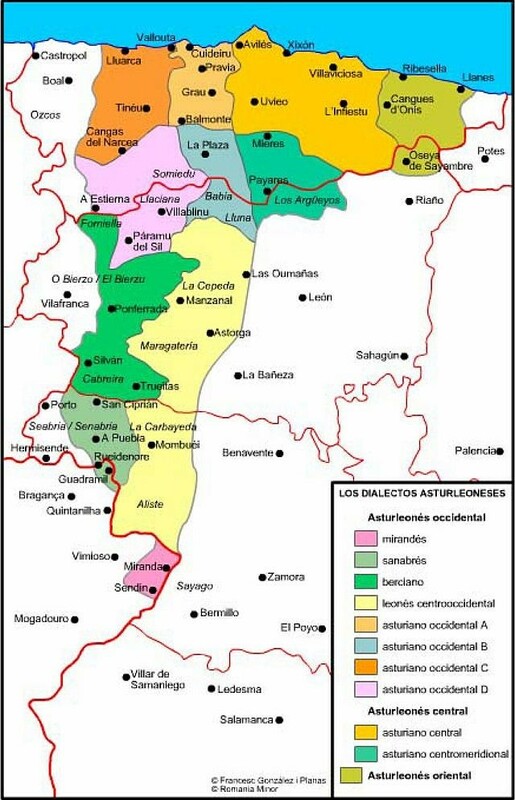 Nevertheless, the region of Asturias has a standardized written form of their language variety, which they call Asturiano or Bable, and they even use it in their education system. On the other hand, the region of León hasn’t created a standardized, written form of Leonés. Why is it important whether or not Asturiano has a standardized written form and Leonés does not? Well, since Asturias has made stronger efforts than León to revitalize their local language in the past few decades, the younger generations living in León actually say that they speak Astur-Leonés or Bable, not Leonés. This was shown by González Riaño & García Arias in 2006 when they studied the region of León and noticed that the people there did not consider Leonés their local language but rather as a reference of their identity. As a result, Leonés is not used as a language name anymore, even though it was once used as a broad language name for all the varying dialects of the region. 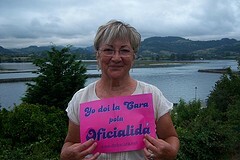 When language activists create a unifying term, like Astur-Leonés, there can be consequences for the names of the minority language varieties. Leonés is now considered to be a reference of identity, not a language name, and this name is only used in conjunction with Asturiano, in the unifying term Astur-Leonés. In the efforts to save a minority language group, it seems that it is also possible to lose sight of other smaller, non-standardized minority language varieties. While individuals of a minority group may continue to identify with a particular language name, it doesn’t mean that it is accepted as a name for another minority language spoken in the region. As the Leonese people hold onto their cultural identity, the identity of their language is quickly shifting towards the more standardized and recognized variety – Asturiano. Bugarski, Ranko (2004). What’s in a name: The case of Serbo-Croatian. Revue des études Slaves 75: 11-20. Conceyu Abiertu Pola Oficialida. Na Reforma Del Estatu, Doi La Cara Pola Oficialida. Digital image. https://www.flickr.com/potos/doilacara/. 11 Aug. 2010. Web. García Arias Xosé Lluis & Xosé Antón González Riaño (2006). Estudio sociollingüísticu de Lleón. Identidá, conciencia d’usu y actitúes lingüísticas en las fasteres que llenden con Astueries. Uviéu: Academia de la Llingua Asturiana. García Gil, Héctor (2007). Al otru llau del cordal: Narrativa llionesa na nuesa llingua (1980-2006) La emancipación de la lliteratura asuriana. Crónica y balance de la narrativa contemporánea. 133-148. Léglise, Isabelle (2006). Language-naming practices, ideologies, and linguistic practices: Toward a comprehensive description of language varieties. Language in Society 35: 313-39. Menéndez Pidal, Ramón (1906). El dialecto Leonés (ed. Facsímil 2006). León: Ediciones El Búho Viajero. Smitherman, Geneva (1991). ‘What is Africa to me?’ Language, ideology, and African American American Speech 66:115-32.